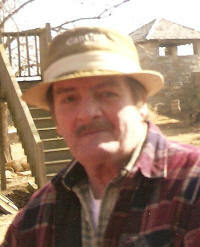 Brian R. Essenpreis, 57, of Breese, died Wednesday, November 11, 2009 at St. Joseph Hospital in Breese. He was born August 9, 1952 in Breese to Sylvester “Smoke” and Indya “Joyce” (Trowbridge) Essenpreis: they preceded him in death. Also preceded in death by a sister in infancy Mary Essenpreis and nephew Jeremy Tebbe. Surviving is a son, Keith Essenpreis of Carlyle and a daughter Katrina Essenpreis of Breese; 5 Grandchildren Justin Essenpreis, Danielle Essenpreis, Devyn Essenpreis, Hailey Kinder, and Dakota Kinder; a brother, Blaine (Joan) Essenpreis of Breese; sisters, Linda Essenpreis of Pocahontas, Gayle (Joe) Eversgerd of Breese, Chrysa (Rich) Tebbe of Breese, Sheila (Rick) Beckmann of Frogtown, and Erin Ritchie of Charleston, IL; his special friend, Doreen Borchelt and her children, Travis and Shannon Tweedy; and numerous nieces and nephews. Brian retired in May 2009 as a Laborer of Local #581 in Carlyle and was a member of St. Dominic Catholic Church. Funeral Mass of Christian Burial will be Saturday, November 14 at 10:00 AM at St. Dominic Catholic Church in Breese with Fr. Patrick Peter officiating. Interment at St. Dominic/St Augustine Cemetery. Visitation will be held on Friday, November 13 from 4:00 to 9:00 PM and Saturday, November 14 from 8:00 to 9:45 am at the Moss Funeral Home in Breese. Memorials can be made to the American Heart Association or Donor’s choice and will be received at the funeral home.